Located on Richwood Dr off Brazosport Blvd N, Extra Space Storage serves residents of Richwood, Clute, Lake Jackson, and more. Locals will recognize our facility behind Yaklin Ford and Gresham Carpet. Extra Space Storage on Richwood Dr offers a large selection of storage units, advanced security measures, and vehicle storage. We're your go-to storage solution in Richwood! With unit sizes from 5x5 to 20x25 and unit features like first-floor access and drive-up access, our Richwood storage facility can handle your residential or commercial storage needs with ease! 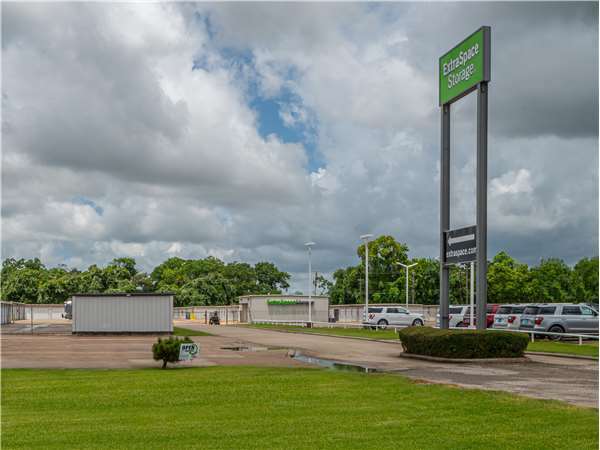 To ensure the safety of our customers and their belongings, our Richwood Dr storage facility is equipped with security features like 24-hour video surveillance and electronic gate access. Looking for secure vehicle storage in Richwood? Extra Space Storage has outdoor parking spaces and enclosed drive-up units that can handle everything from small motorcycles to large RVs. With a well-maintained, secure facility and a friendly team of storage experts, it's easy to see why customers trust Extra Space Storage. We truly care about your satisfaction, which is why we strive to deliver a dependable self storage solution. Contact us today to reserve a storage unit in Richwood! Take State Hwy 288 S to Country Rd 220/Coale Rd exit and turn left. Head 1.8 miles to TX-288 Business S/S Velasco St, turn right. Follow 6.1 miles until you reach Richwood Dr. Turn right onto Richwood Dr and your destination will be immediately in front of you. Head northwest on State Hwy 288 N toward Dow Operations Plant B. Use left two lanes to take the Texas 288 Business N exit toward Clute. Continue on to TX-288 Business N and go 2.8 miles to Richwood Dr. Turn left onto Richwood Dr and your destination will be immediately in front of you. Take Hoskins Mound Rd toward Peltier Rd. When you reach FM523N turn right, go one mile to Stratton Ridge Rd. Turn left on Stratton Ridge Rd and go four miles to Brazosport Blvd N. Turn right onto Brazosport Blvd N and go one mile to Richwood Dr. Turn left onto Richwood Dr and your destination will be immediately in front of you. Head southeast on Circle Way St to Oyster Creek Dr. Turn right on Oyster Creek Dr and head 2.2 miles to College Blvd. Continue on to College Blvd and go half mile to Brazosport Blvd N, turn right. Go half mile to Richwood Dr. Turn Right onto Richwood Dr and your destination will be immediately in front of you.